Hydrotherapy for dogs, ever thought about how dogs may enjoy this? In this article, we will explore the benefits your dog would gain from this form of therapy. Hydrotherapy helps us, humans, in very many ways. For those suffering due to painful joints, for instance, hydrotherapy is a great way to regain mobility without putting pressure on one’s joints. But, did it occur to you that this particular type of therapy can help your beloved companion as well? As a dog owner, learning about the numerous benefits hydrotherapy your dog will experience, plus, it can be an incredible alternative therapy for them as well. Let’s explore hydrotherapy for dogs and the benefits. Regardless of age, a dog should be as active as possible. But, when you have a senior dog with joint problems or various injuries, exercising may be difficult, uncomfortable, even painful in some cases. If you want to help your dog stay in shape and have a long and healthy life, hydrotherapy is an amazing alternative. 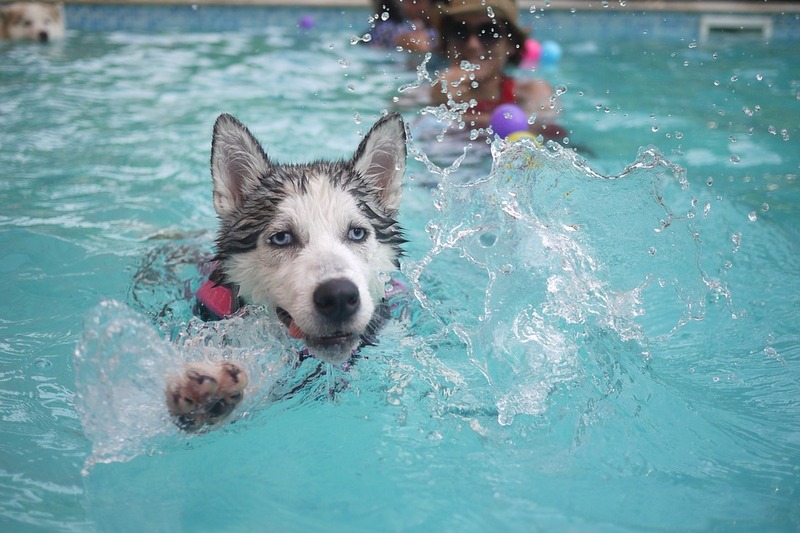 Most dogs love swimming and playing in the water, the water provides buoyancy taking stress of a dog’s joints, allowing them to move freely without putting too much pressure on their joints. With the help of hydrotherapy, proper exercising will not be a problem for dogs with painful joints or other mobility related issues. Is your dog rather chubby and your vet has recommended to help your dog lose weight before its extra pounds start causing health problems? According to PetMD, hydrotherapy is the best way to help your dog in case of weight issues, as it gets rid of extra weight much safer and more effective than any other method. In water, a dog will not feel the pressure of its own weight and will be able to exercise more before actually getting tired. Not to mention that swimming and playing in the water are also extremely fun for dogs. 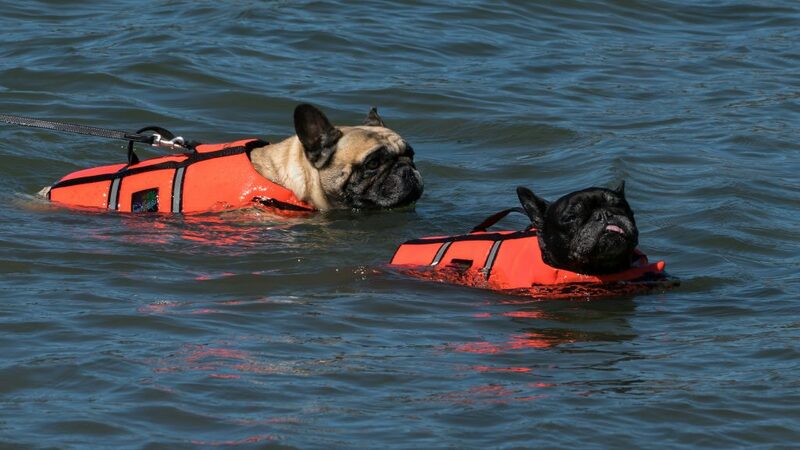 So, instead of straining your dogs on long walks or on the treadmill, enroll it in hydrotherapy sessions. If your dog’s muscles are underdeveloped or weak, the best way to allow your dog to improve the conditions of its muscles is with the help of hydrotherapy. Moving in water will help the dog work out its entire body, therefore, muscle conditioning will happen organically. Of course, proper muscle developed should also be backed up by a diet rich in high-quality proteins, not just in workout sessions. Besides strengthening the muscles, hydrotherapy also improves the dog’s circulation and joint mobility. Both of them are needed for a long, happy, and healthy life. Every dog should enjoy such benefits, regardless of its age. While it is believed that hydrotherapy is good for muscles and joints only, it can also offer relief for other physical discomforts and illnesses. Dogs suffering from lameness or hip dysplasia will enjoy the benefits of this type of therapy. Also, dogs with various skin conditions may feel better and more relaxed in the water, as the temperature of the water can soothe their itchy or inflamed skin. Physical rehabilitation is highly recommended in case of injuries. But, instead of opting for regular rehabilitation, you could easily choose hydrotherapy for your dog. It is gentle on their body, which needs care and attention in order to recover well while being effective at the same time. Hydrotherapy, besides an alternative therapy for various illnesses and issues, is an amazing opportunity for dogs to enjoy a great workout session. Did we mention, having a blast too? Additionally, this gives you and your companion bonding time. Trust us, your dog will love spending the exercise time with you. Have you ever tried hydrotherapy for your dog? Or, do you and your dog swim together? Share your experiences.